Having been a teenager in the 60s with high school friends already into Pink Floyd in 1967 and listening to early FM radio stations out of New York City that introduced me to all kinds of obscure and interesting music, I thought that I was fairly knowledgeable regarding 60s psychedelic music. But apparently there was a considerable amount of music that never made it across the pond. Thanks to the efforts of Fruits de Mer Records I am continuously amazed by the musical gems covered by the bands on the label. One such band was The Action, who recorded a number of demos in the late 60s under the tutelage of one George Martin. However as things sometimes go, The Action broke up before an album was ever recorded and these demos languished for decades, ultimately released in the late 90s as Rolled Gold. Fast forward to 2017 and the Sidewalk Society out of Long Beach. CA took it upon themselves to take these demo tunes and flesh them out. 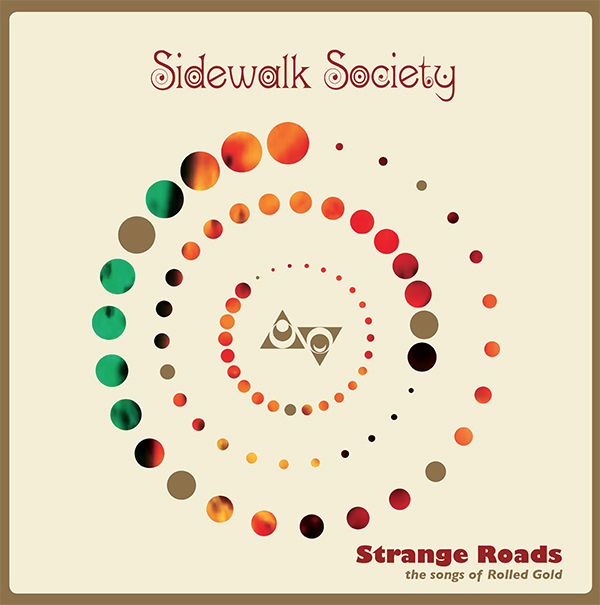 Sidewalk Society’s Dan Lawrence (guitar), Dan West (bass), and Jerry Buszek (drums) all loved the release of Rolled Gold and they were curious where the music could take them artistically. Their ultimate goal was to reimagine the unreleased demos, but not to complete or improve on these cult classic tunes. Instead they wanted to explore their passion for late 60s pop psych. The result is an album of songs that sound like they were recorded 50 years ago, incredibly capturing the essence of Brit psych pop infused with the West Coast sound of The Byrds and The Association. Now we have the opportunity to hear what these songs would have sounded like with the full studio treatment. So if you yearn for tangerine trees and marshmallow skies, this new album is for you.